• The death of Savita Halappanavar in 2012 provoked renewed debate on the 8th Amendment. In 1983 when the 8th amendment was inserted into Bunreacht na hÉireann this state was a very different one to the one we live in today. It was the time of the Kerry Babies case. The horrific treatment of cancer patient Sheila Hodgers and the tragic death of Ann Lovett and her baby are other incidences that mark this era. The Roman Catholic church was still a very powerful influence and there was an institutionalised and deep rooted distrust of women. In that climate it was felt that society needed to cement its opposition to abortion in this state and from there came the referendum which gave equal rights to life to a pregnant woman and to a foetus. This was a religious and social affairs issue and although I was only ten at the time I remember well the debates and the many many men who spoke on the national media about the issue of abortion. Women’s voices (from my recollection) were largely silent in the debate and the church played a major role in the campaign at the time which was characterised by moralising – lawyers not doctors were to the forefront of the debate. Thirty five years later the issue of abortion access is very firmly placed in the rightful realm of women’s health care. This was evidenced by the number of medical professionals who gave evidence to both the Citizens’ Assembly and the Joint Oireachtas Committee on the Eighth Amendment. The medical professionals were in agreement – the eighth amendment means that they are prevented from delivering a full range of healthcare services to women. This was clear from the evidence given by current and former Masters of Maternity Hospitals – they want to be able to deliver healthcare to women and the eighth amendment is a huge impediment to this. Sinn Féin will be out campaigning with those who want to see the eighth amendment repealed – we have listened to women and healthcare professionals and to our members have decided that we will be enthusiastically backing the campaign to repeal. Our Uachtarán, Mary Lou McDonald made it very clear when she said that we need to see the eighth repealed and we need to trust women. However, we as campaigners and activists know this won’t happen overnight and it won’t happen without political leadership. That is why as the only party with a substantial grassroots membership that backs repeal, it is our responsibility to provide the political and community leadership which is so essential. 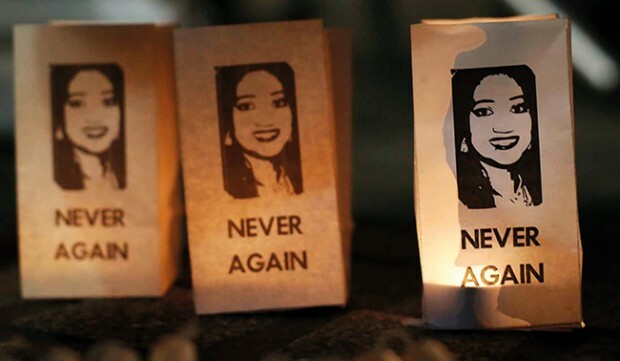 We do not want to see another X case, another Y case another tragic death like that of Savita Halappanavar – women have been let down for too long.